Dionne and Orlando are the perfect couple. They asked and we delivered Elegance at Chateau Elan Winery and Resort! This was an easy order as this fabulous wedding party was stunning. The bridesmaids wore long black gowns and there were Turquoise accents in their white hydrangea bouquets. Design House of Flowers designed Dionne’s bouquet with white hydrangeas, white polo roses, white mini calla lilies, white tulips, white freesia & lisianthus, white orchids, with each flower embellished with turquoise or silver rhinestones. 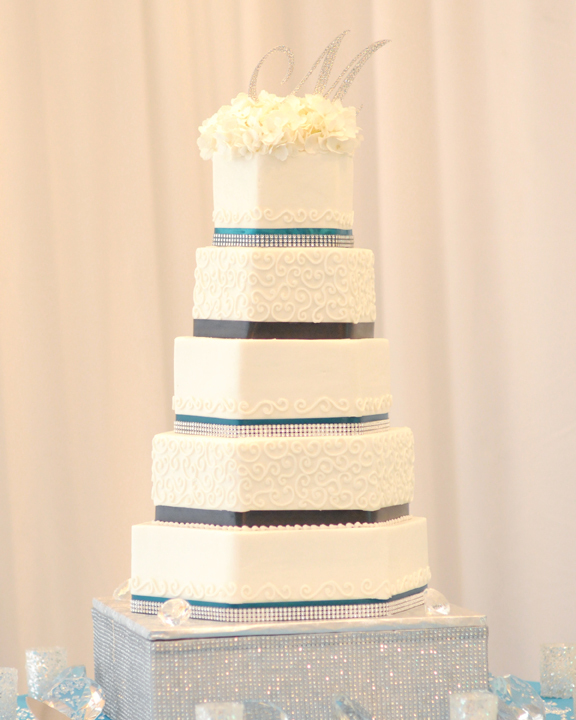 The bouquet was wrapped in white satin ribbon with turquoise ribbon accents and rhinestones. Extremely breathtaking! The soft lit white back drop altar was equally breathtaking as 2 large Manzaniti trees with hanging crystals were on stage surrounded by many candles. Of course, the reception decor was an absolute thrill for the Design House staff. Flowing ceiling drapery with twinkling lights and hanging chandelier – – is one of our specialties. 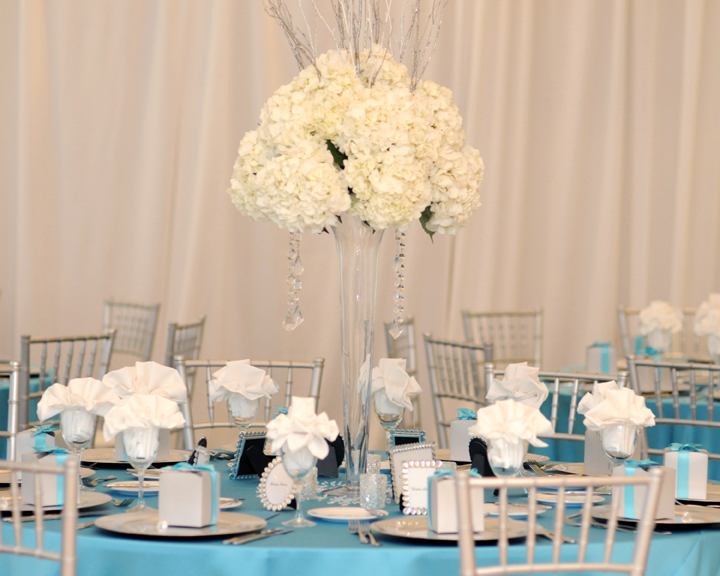 Guest tables were lined with turquoise satin accents and tall elegant arrangements. 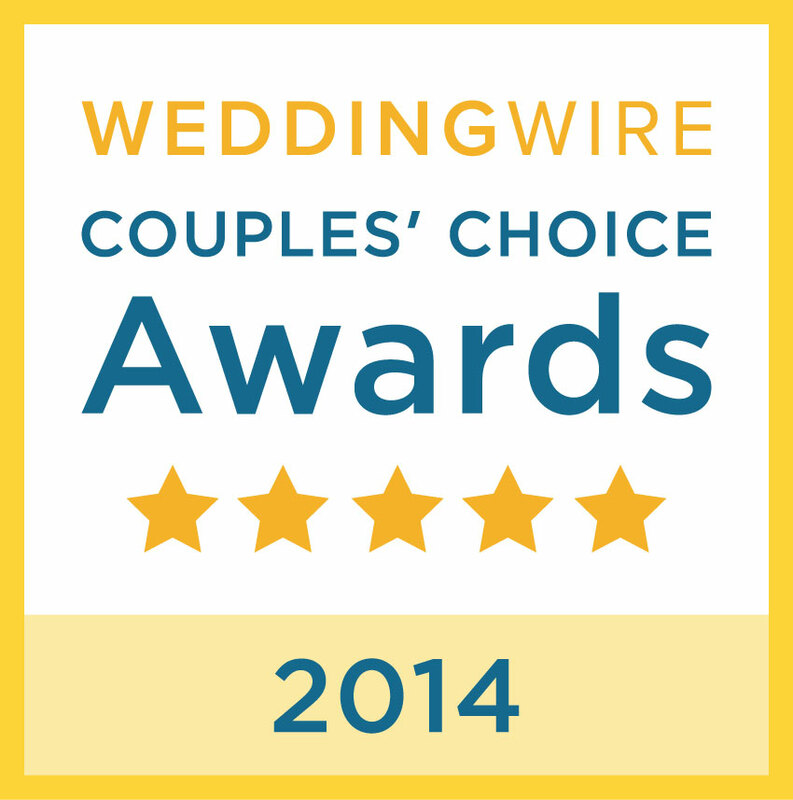 We love to design and We love to create magical wedding memories for our couples! Enjoy these amazing pictures by Gene Ho Photography.